Please note that the MECC office will be closed from December 27th to January 9th. We wish all our colleagues and students HAPPY HOLIDAYS and look forward to working with you again in 2018. Mayers sensei gave a talk, Organizing a charity fundraising event: a class project that brought lessons in life. 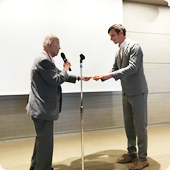 Congratulations to Mayers sensei: he is this year’s recipient of the Japan Society for Medical English Education (JASMEE)’s highest award, the Kenichi Uemura Award. 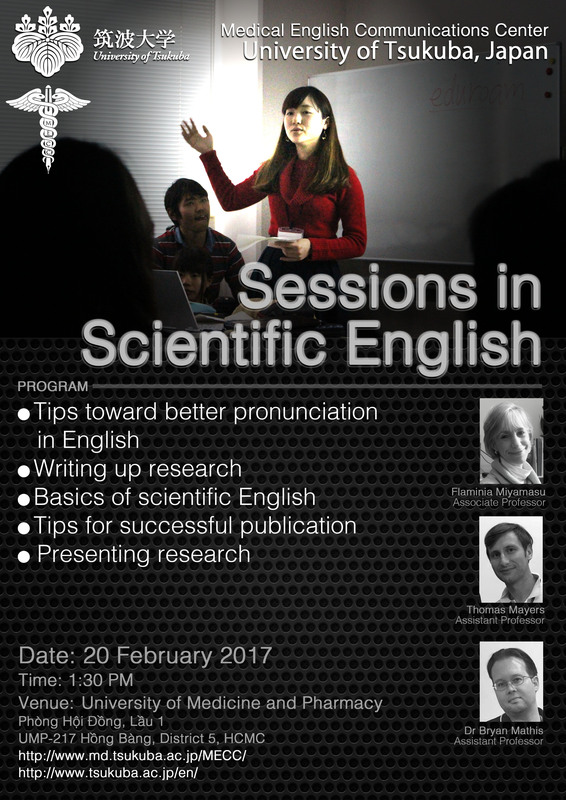 He won the award for this talk, Laughter is the best medicine: using comedy sketches to learn medical English, given at the 2016 JASMEE Academic Meeting. As part of the Experimental Course in Biotechnology in Medicine, the MECC team offered a seminar, Sessions in Scientific English, at two venues, the University of Science and the University of Medicine and Pharmacy. 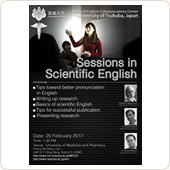 Mayers sensei hosted a session titled Scientific English Workshop. 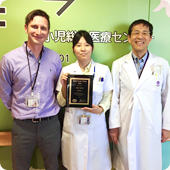 We would like to congratulate Dr Aiko Sakai of the Department of Pediatrics at the University of Tsukuba Hospital for winning the “Fellow Exchange Program Award” at the American Pediatrics Society Conference in Baltimore, 2016. 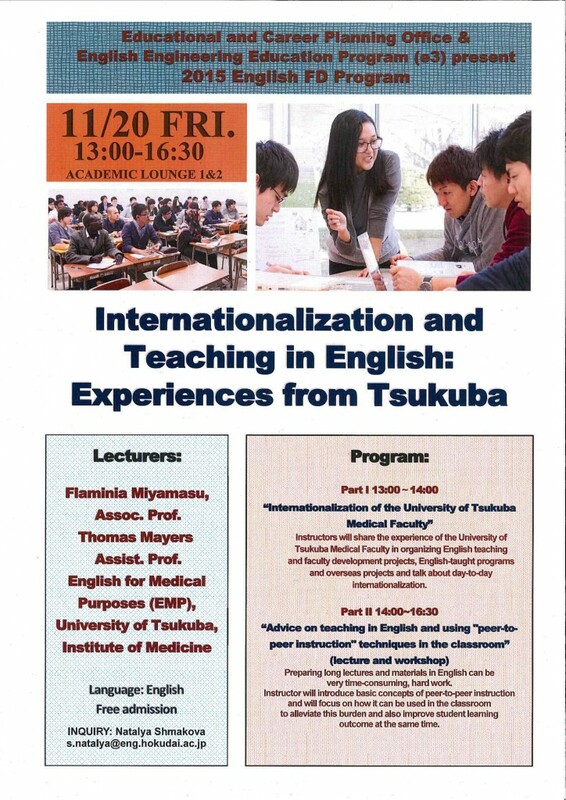 Before the conference, Dr Sakai worked very hard on preparing and practicing her presentation with coaching and help from her colleagues and also from Thomas Mayers of MECC. The MECC office will be closed from August 1st to 21st. 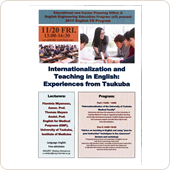 Mayers sensei was invited to give a presentation entitled: “Teaching English for Medical Science” at this symposium. Two new Self-Study modules have been uploaded. 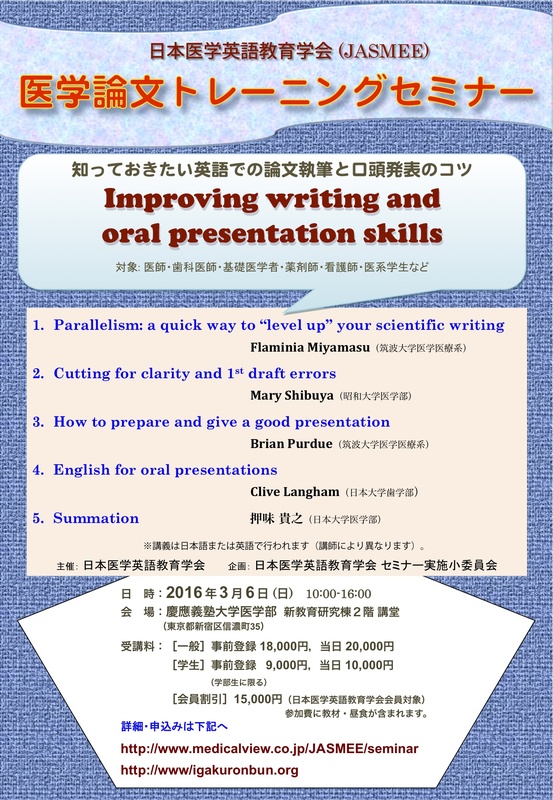 The Parallelism module has explanations and exercises on using parallel style to improve your scientific writing. The booklet, History-Taking in English: a Booklet for Physicians, contains sections on greeting the patient, taking the history of the present illness, asking about other medical information, conducting a review of systems, and expressing empathy. 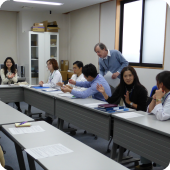 The 15th FDE meeting was held on March 13th. The topic was "Rethinking Teaching"
It was again well attended and a great success. 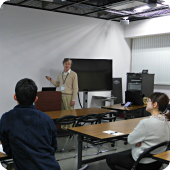 The next FDE Meeting will be held in May in room 105 of the Health and Medical Science Innovation Laboratory. 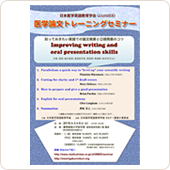 Brian sensei gives out a handout to participants. 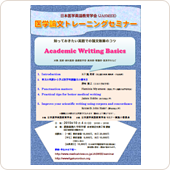 They use the handout and practice dialogues. The best part is that they can ask questions freely during the lesson. 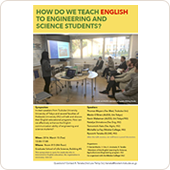 The next Thursday Lunchtime English classes will be held on April 17th and 24th in a room in the Regional Medical Network System Research Center. Copyright 2013 MECC All Rights Reserved.